We've just got word from publisher Microïds that racing simulator Gear.Club Unlimited will land on the Switch on 1st December. We have to say it's looking pretty good from the reveal trailer shown above. 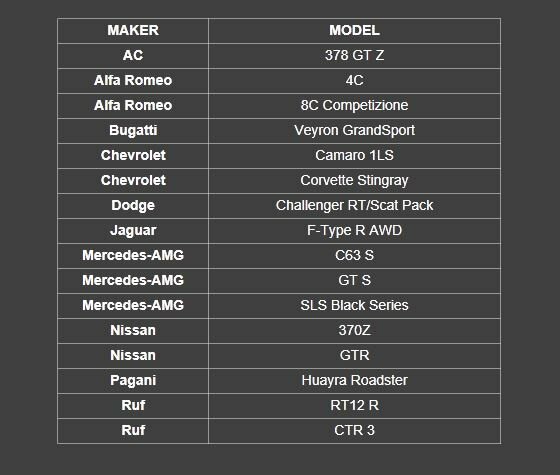 Players will also be delighted to discover the first 16 super cars that will make up part of the game’s roster. Each championship won will unlock new vehicles, new car improvements and new races. Thanks to the modularity of the Nintendo Switch, players will benefit from Eden Games' expertise in racing games anytime, anywhere, in handheld mode or docked using a home theater, alone or with friends! Let us know if you plan to pick up Gear.Club Unlimited in December with a comment below. Yeah that looks pretty good. @Marios-love-child is there a Gran Turismo for Switch? Isn't this a mobile game? Actually doesn't look, visually, half bad, at least in handheld mode. I knew it was considered a "nice car", but didn't expect it to be "super car you can race in video games" level of "nice car"... pretty awesome! Looking nice, if it can handle 60fps on the screen then it'll be a game on my radar for sure. Will wait to see some reviews. I want a good racer. I enjoy Mario Kart, but want something like this to play one player. I really want a new main line Gran Turismo. If I understand correctly Sport is online multiplayer built for esports not a main line game. Another Random mobile game. Gear.Club is a free to play game on iPad, had it for a week and got bored. Not holding my breath. The gameplay feels cheap... if the reviews are 7+ and if the price tag isn't more than 20$ for the retail copy I may think about it getting it. There are only two car racing games for me: Ridge Racer and Gran Turismo. @Menchi187 That's not necessarily a bad thing. Personally I'd insta-buy a Switch port of Real Racing 3, Horizon Chase or one of the latest Asphalt games at $10, maybe $20. Don't expect it to be great even though it's nice to finally see an actual car racing game on Nintendo hardware. Looking forward to this, hope the controls translate well from mobile to Pro Controller. Looks like a mobile game and from what I've heard, it is. Then again, beggars can't be choosers. It could be alright, let's see. Still, I doubt the big boys are quaking in their boots. That's why I keep saying, we need proper 3rd party support. The fact this is supposedly a free to play mobile game ported to Switch is what puts me off. It seems underwhelming. If the game was unique and more developed, i'd be more interested. The Switch could use a racing game substitute for Forza/Gran Turismo and it would be a nice alternative to Mario Kart from time to time. Stop with the mobile bias, there are loads of good mobile games in every genre. If you like gaming, you should appreciate what mobile offers, otherwise look inward and decide whether you are a gamer or a fan. What's up with the picture of the box in the thumbnail looking like it's being displayed on the original ds? @SLIGEACH_EIRE - You'd be technically correct with that assumption. Supposedly it will be a revision of that game. So better assets, framerates, less cluttered UI since payshop is gone. Essentially the same game with an upfront cost and controller support. Will keep an eye on the reviews and the price. Not sure it's going to be giving Project Cars 2, Forza 7 and GT Sport any sleepless nights but anybody who wants those games will have bought a Console to play them on. This could be a good option for Switch-only players or somebody looking for a good portable racer. I do think there's a market for it, given how well Switch appeals to adults. I am so starved for a racing game that isn't Mario Kart. I'm in. I don't understand all the negativity towards this game. It actually looks just fine to me and it has a decent starting roster, so this might just scratch the itch of many racing sim fans that don't own any non-Nintendo consoles. And for the record: screw Gran Turismo. Forza has been the superior console racing sim for well over 5 years now, and arguably even longer than that. If this game turns out well, it will plug a big hole in the Switch library. Fingers crossed! This will be good enough for now. Hope we get a more involved racing game down the road or sooner. Not with a new Forza and Gran Turismo also out soon. Looks pretty ambitious for Switch! Count me in. I love racing games, especially involving cars. Just what the Switch needs IMO. Love a good racing game. Fingers crossed it turns out well. Plays like a dream on my S7. Played this on mobile since it was first announced for Switch. It is good fun, with a nice difficulty curve, massive roster, regular multiplayer challenges and tournaments and regular content updates (tracks and vehicles). For me, it's a worthy alternative to Real Racing 3's cynical IAP model - I've played a large portion of the game so far without spending one penny or watching one ad, and it has never felt like a grind due to the vast amount of races available. It is a generous package. Only gripe is that the deceleration when you graze a wall or barrier seems disproportionate to the contact made, especially for an arcade style racer. Can typically cost you a close race. Oh, and it'll be micro-press city with no traction control and no analogue triggers. Hope ol' ZR is up to it. I'm interested in knowing more, probably just going to have to throw this on my Shield tablet to get somewhat of a feel for what will be an upgraded and non-IAP package on the Switch. @Dan_Dan That's not how you spell Metropolis Street Racer! Its good that the system is getting a good racer and i think the customisation will help make it feel a little unique, but its still very clearly a ported mobile game. @ACK Burnout 3 is absoluely incredible, still replay it to this day. One of the best racing games ever not to have a Sega logo at the beginning. Vita and 3DS had very few racing games, especially compared to PSP, so this might just be my most anticipated Switch title now! 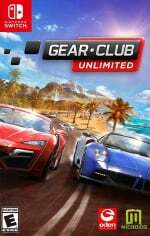 I’d take an updated Test Drive Unlimited. The Forza Horizon games are amazing because they add that element of exploration and just driving around. We need a game like that!